Before we actually paid a visit, Reethi Rah seemed a bit conservative for an island resort. Sleek, grand, but maybe lacking some of that rustic maldiveness (define it as you like), so in vogue these days. Coming ashore we realised that refusing to follow design fads is precisely the point: you simply don’t have to, when you are the best. In other words, fashions come and go. And it takes a certain level of confidence to just shrug them off, in the competitive space of the Indian Ocean resorts. 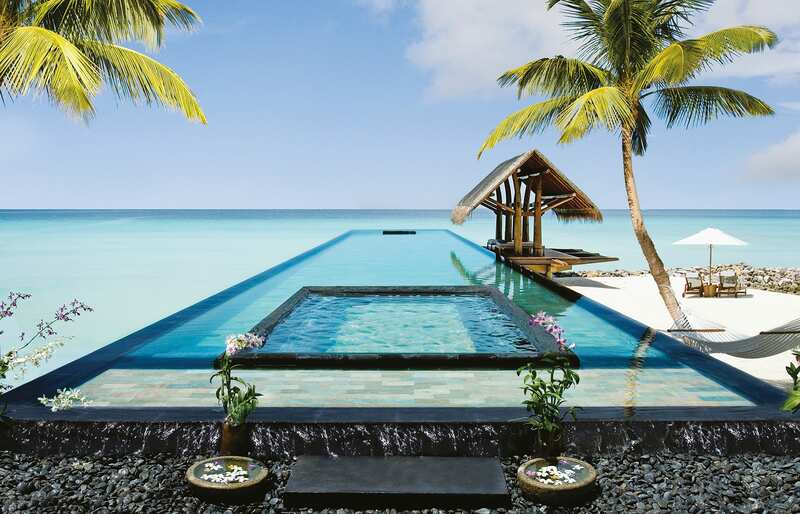 Reethi Rah sticks to its own One & Only style. Purposefully not ‘trendy’ yet brought up to the highest level of luxury, focused on serving its customers the kind of experience you’d be hard-pressed to find anywhere else in the Maldives. Perhaps no other luxury resort here affords its guests so much space and privacy—and quite as many attractions. You could stay here for a month and not get bored. The island is packed with facilities: there are two flood-lit tennis courts, football and volleyball pitches, a state-of-the-art fitness club and of course a water sports centre, very well equipped and providing all manner of activities. There is even a golf course, albeit only in the form of a simulator (which doubles as a private cinema). The range of attractions for children is second-to-none, and the beautiful spa is maybe the largest and most comprehensive in the Maldives. 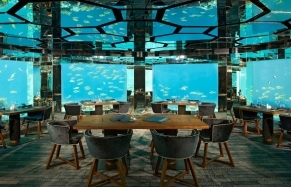 Dining options start from the monumental main restaurant where we’d go for lavish breakfasts, to informal beach-side Fanditha with its Middle Eastern delights (the beach bar here is the best spot for sundowners) and—our favourite—the Japanese-themed Tapasake. The guest accommodation takes the resort experience to another level. The Water Villas are simply iconic, with their unique nets stretched around sun decks. 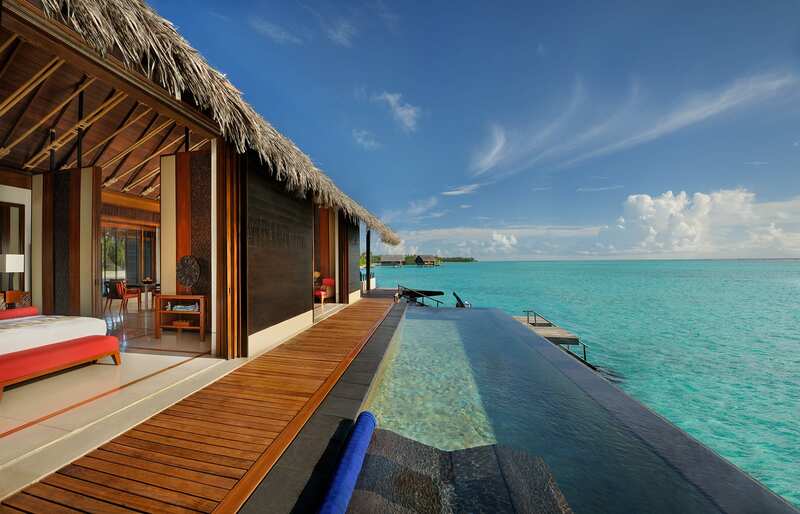 The beach villas, carefully arranged around twelve picture-perfect beaches, enchant with extra seclusion and space. Set widely apart and sheltered by dense tropical vegetation, they offer more than plenty of space and privacy. Villa interiors follow the elegant and glamorous style found throughout the resort: a kind of polished luxury chic, which goes well with the high-tech equipment and massive decadent terrazzo baths in the villas. With its fabulous style, glamorous atmosphere and a sheer wealth of attractions Reethi Rah is like a cross between a spa resort, an exclusive country club and a billionaire's playground. It's a beautiful world unto its own. And as such it deserves our exclusive Travel+Style Editor's Pick badge. Water villas, with their multi-level decks surrounded by lounging nets, spread over blue shallows. We spent hours just basking in the sun, watching large schools of fish (and their predators), underneath. Occasionally, we'd dip into the calm waters, directly from the deck. Pure bliss! Our favourite restaurant was Tapasake, set over water. Great food and ambience, excellent service. The transport from Male is very efficient, on a beautiful luxury boat—but the top deck can get extremely windy! This resort is at the top end of five-star luxury, and that doesn't come cheap: come prepared, spend money—enjoy the time of your life!